Notes: This is a very complex rum from a production standpoint using totally unique stills that are the only ones of their kind left in the world. 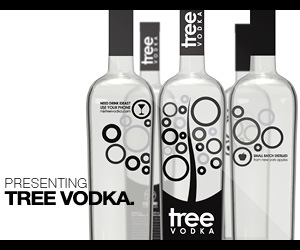 They use a combination of 3 different stills each one delivering a totally different spirit. The first on is a wooden Coffey still (Coffey stills are usually used in the production of Irish Whiskey and some gins).The second is a wooden(and copper top) pot still and finally a Savalle Still which is a type of copper continuous still.The rum is then aged in used once whiskey (read bourbon) barrels, blended, then rested again and allowed to marry before bottling.The youngest rum in this blend is 15 years old. Appearance: Delightful burnished old gold appearance, like a top grade Baltic Amber,clear as a bell.On Swirling leaves a thin coat on the glass with long thin legs slowly forming with drops sliding down the side of the glass. First Impression: Understated but complex bouquet. Pecans, ghee, mace/nutmegs, dark fruit, old leather, toffee, char, Erinmore pipe tobacco. Taste: Sweet but rapidly drying entry, almost buttery light-to-medium body, like a good aged cognac. Lots of smoke/char, spice, dark fruit and some sweet tropical fruit with char and saddle leather notes intermingled, barrel oak spices, vanilla, Yendije Sobranie tobacco a rich complex rum. Long but light and aromatic finish. Lighter and more restrained in taste and finish than the 12 year old, showing a subtlety of taste and bouquet and slightly drier profile and finish. Drinks: Works well in the non umbrella classic rum drinks, adding complexity yet a light touch to the drinks. Some rums step all over these drinks, this one doesn’t. Also works well in Tiki Drinks, blending nicely with the other ingredients. Please use only fresh ingredients with this rum anything else would be an insult to the rum. Cigars: Nothing too heavy. A Joya de Nicaragua, Ashton or Fuente with a natural or shade wrapper would do nicely. A Hemingway Masterpiece or Untold Story, a snifter, and a bottle of this would do nicely. Bottle/Packaging: Short round decanter with a short neck of dark green glass,very much in the style of a antique rum decanter. Black letter wax seal with “15 Years Old” in gold on the shoulder with Special silkscreened in gold letters above a rectangular paper label with a drawing of a Galleon on the label. Black shrink wrap with gold lettering on horizontal and real cork closure finish the attractive packaging. Final Thoughts: A very complex and delicious rum, especially for the money. Shows what can happen if rum is carefully aged and blended – as tasty as a cognac or Armagnac (but in different ways) of a similar age and finishes just as nicely. About 1/2 to 1/3 the cost of a Single Malt Scotch of a similar age. 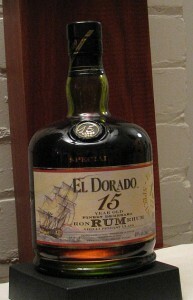 All of the El Dorado rums are very unique from a distilling point of view, and a good candidates for a horizontal age tasting or flight to compare styles and distilling methods. 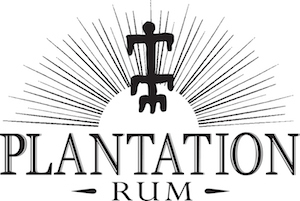 Subvert the dominant rum paradigms and buy this brand instead of the heavily advertised ones. Quick loading, and very informative; a trifle hard to navigate.